I'm sure everyone has heard the funny/slightly annoying song 'What does the fox say'.. my two year old LOVES it and asks for it every time we get in the car! He is constantly singing it and dancing around the house. I confess, I like it too. 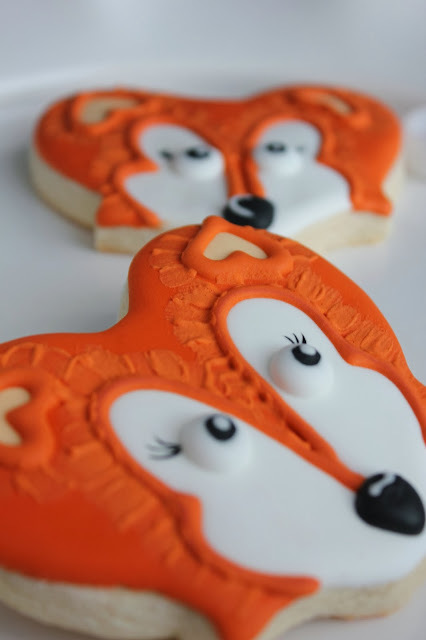 So I had to make some fox cookies. Using your 20-second orange icing, make the outline to the face. 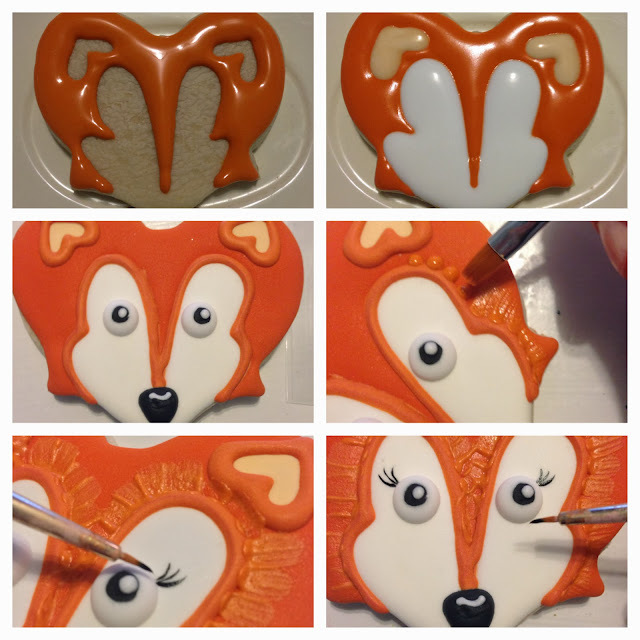 Wait for 15 minutes, then fill in the ears and rest of the fox's face. 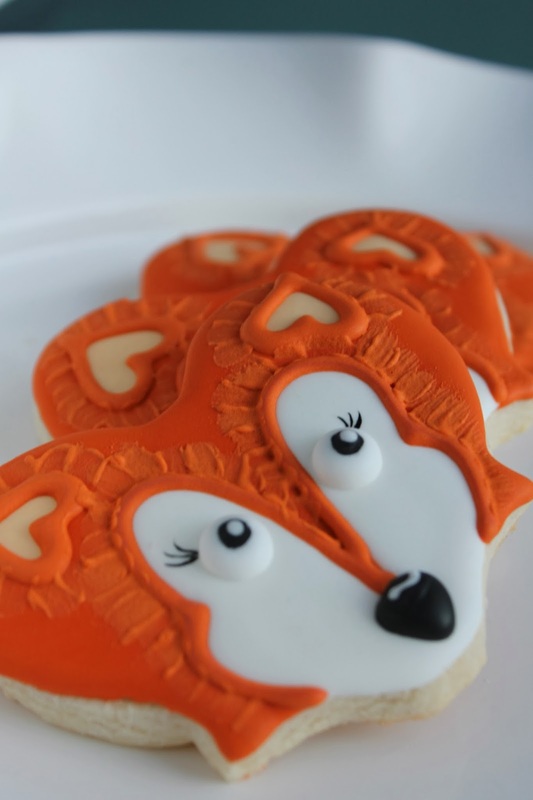 Add a black nose and eyes once the cookie is dry (give it at least 6 hours). I used brush embroidery around the face. Out of pure laziness I didn't make a thicker icing to do the brush embroidery and it would've been much cuter if I would have! Oh well, lesson learned :). The last step is to pain on little black eyelashes and you are done! There you have it! Happy fall ya'll.